Revenue generation is the single most important aspect of your business. It keeps your organization viable and creates value for the community it serves. Without sales, your organization will soon disappear. This article looks at different sales styles and why a “consultative sales” approach is an effective sales approach for professionals. Approaching client prospects to create sales opportunities is a business element too often overlooked or considered a “separate” part of a profession. Sales represent the aspect of business that practitioner entrepreneurs might avoid; however, the need to master sales skills when starting or running your business is no different than stepping into any other required business role that you may encounter. I encourage you to become a “sales pro” skilled in “consultative sales” and approach this sphere of the business cycle with the same passion as any other professional training you have or will receive. You have probably met salespeople whose technique is to generate sales based on convincing their client prospect (i.e., a “convincing” salesperson). You will recognize this style as somewhat pushy and abrupt; moreover, it does not make room for a conversation with questions or rational discussion. Instead of listening to and addressing real needs, the salesperson’s responses include stock answers designed to simply overcome objections. Views are rarely heard or ever acknowledged, let alone understood. When the approach is simply to overcome rather than to address the concerns of a prospect, real conversation cannot take place. As a result, no relationship-building occurs, and the client prospect’s true needs may go unresolved or ignored. 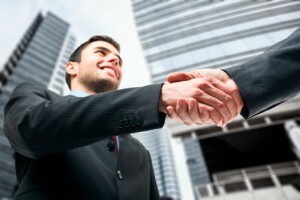 The professional salesperson takes an alternate approach and offers a full and complete conversation for “possibility and opportunity.” Consider this: Business lives in language, and using our best communication skills to propel a sales conversation fits hand and glove with other professional activities. The possibility of doing business comes to light with the opportunity presented by the salesperson, and a rational conversation follows in which both parties contribute. With this alternate approach, each person is invited into the conversation, and no one feels as if they’ve been manipulated or browbeaten. Mastering the skill of having successful sales conversations allows both parties in the discussion to feel complete. Being a sales pro while remaining true to your chosen profession is an easy step. When re-framed from this new perspective (i.e., using appropriate communication skills), sales conversations can be handled effortlessly. Any conversation in which you seek to enroll another person into your way of thinking—whether that idea is a product or a value-added service—the idea is best introduced on the basis of possibility and opportunity. The two approaches (i.e., a conversation versus a convincing style) are vastly different. The latter results in more authentic exchange and will generate satisfied clients, whereas the former approach often equates with pressuring, and regretfully can leave the client feeling misled or with buyer’s remorse. Your sales approach makes all the difference in the world. Using conversations for possibility and opportunity sets the tone for a rational relationship in which the potential client will explore ideas as opposed to being sold or convinced to accept situations. In this context, you’re giving them the opportunity to contribute to the outcome—something he or she will appreciate and remember well after a deal is struck. Consultative sales is founded in a dialog and consideration of the best solutions for your clients need and well being. When you try this method, you will discover the power inherent in using a professional approach to propel your sales conversations to success.